With Manikarnika: The Queen Of Jhansi, an important chapter in the history of India will unfold on the big screen today. Kangana Ranaut, who stars in the titular role, has also co-produced the film with Kamal Jain and co-directed it with Krish. Kangana plays the role of Rani Laxmi Bai of Jhansi, who revolted against the East India Company when her kingdom was threatened after her husband's death. Rani Laxmi Bai led Jhansi's army in the Indian Rebellion of 1857. 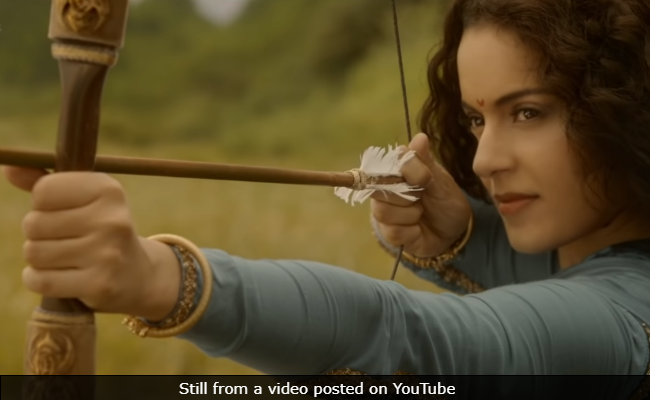 Actor Manoj Kumar, who featured in several patriotic films, has vouce for Kangana's portrayal of Rani Laxmi Bai and said that she was born for this role, reported news agency IANS. Manikarnika briefly struggled with Rajput fringe outfit Karni Sena when it was reported that they wrote to the filmmakers warning them against "maligning Rani Laxmi Bai's image." Kangana Ranaut, confident about her film's content, which she said was verified by four historians, said she's "destroy" the group if they opposed the film's release. Recently, the Karni Sena clarified that they never protested against the release of Manikarnika and that the name of their outfit was misused. They asked Kangana to apologise for her strong statement, which she refused. Manikarnika: The Queen Of Jhansi also stars Ankita Lokhande, Jisshu Sengupta, Atul Kulkarni, Zeeshan Aayub and Danny Denzongpa. Meanwhile, Thackeray, starring Nawazuddin Siddiqui, is gearing up for a box office battle against Manikarnika today. Thackeray is based on the life of Shiv Sena founder Bal Thackeray. Nawauddin Siddiqui plays the lead role while Amrita Rao plays his onscreen wife Meena Tai. Thackeray is directed by Abhijit Panse. In case you're not up for watching a movie, check out Amazon web-series Four More Shots Please!, starring Kirti Kulhari, Sayani Gupta, Bani and Maanvi Gagroo.